Ideally situated 17 miles west of Dallas and 23 miles east of Fort Worth, Grand Prairie is an outdoor lover's paradise. The city of more than 160, 000 people is just five miles north of Dallas/Fort Worth International Airport and is home to one of the newest lakes in Texas, Joe Pool Lake. Residents of homes for rent in Grand Prairie, as well as visitors to the area, enjoy fishing, boating, swimming and skiing on the lake. Additionally, Lynn Creek Park lies on the north shore of the lake, and Cedar Hill State Park lies on the east bank. Grand Prairie has 54 parks, including a senior center, four recreational centers, five public pools, a dog park, campground, several beaches, softball/baseball features, tennis courts and soccer fields. In 2008, Grand Prairie was designated as a Playful City USA, and the same year Golf Digest recognized Prairie Lakes Golf Course as one of the best places to play. The city has received the Governor's Community Achievement Award several times. Grand Prairie is also home to the AirHogs, a minor league baseball team, and Traders Village, a flea market covering 125 acres. 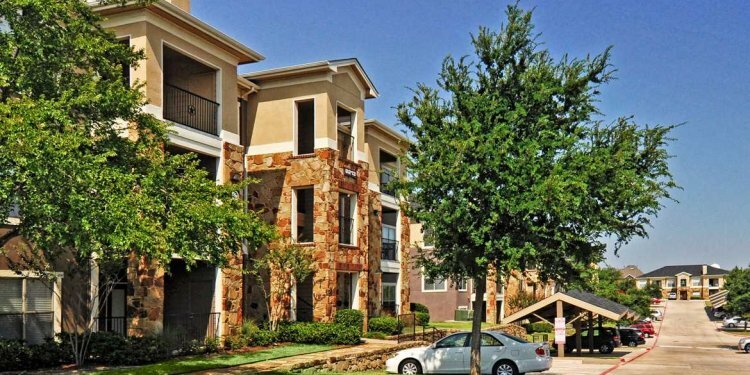 Houses for rent in Grand Prairie are available in a number of areas with varying views. If you're looking for Grand Prairie rental homes on the lake, check out Florence Hill, which is on the north shore. If you prefer homes for rent in Grand Prairie on the west side, try looking in Dalworth. Some other neighborhood options for Grand Prairie rental houses are The Crossing at Ruidosa Ridge, The Trails of Mansfield and North Cliff.